A beautiful day downtown at City Hall. Summer is here! Here is a comprehensive list of whats going on this month around Korea. Be sure to check back for updates throughout the month! I hope everyone enjoys their Korean memorial day! June 5 Rafting at Inje river and hiking: Join the Seoul hiking group lead by the awesome founder Warren Seung Il Kim! There are a few spots open and this one day trip costs only 43,000 won. There are other activities such at ATV's, bungee jumping, and zip lining for an extra fee. To learn more about the event visit their facebook page here. June 6 SHITY Korean Memorial Day Hike: This hike will start at Hwagye Temple and you will hike in the surrounding mountains. This group is a small group I found on Facebook a while ago. The hike is free but they recommend you bring your own Makgeolli for the top! Learn more here. June 3-6 Haeundae Sand Festival in Busan: Take a trip down to the beach in Busan to see the ever famous sand sculptures. Because this is a holiday weekend be sure to book your train tickets in advance! 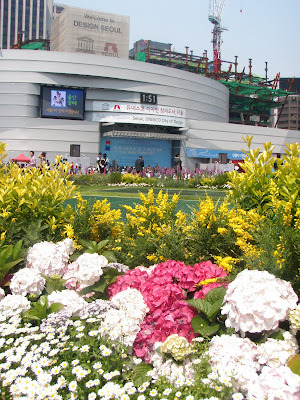 Check out more at the Korea Tourism Org. July 15-19 Seoul International book fair: This is a great event for those that love meeting authors, and learning about publishing. There will be several opportunities for book signings and even a seminar on the controversy surrounding e-books. To learn more visit the Korea Tourism Org. July 16-24 Boryeong Mud Festival: This event sells out every year, so it is a good idea to start looking at train and bus tickets or trip tours to this event now. This is without a doubt the most popular event in Korea all year among foreigners and Koreans alike. There are several groups taking tours such as Adventure Korea and The Seoul Hiking Group. To learn more visit the Korea Tourism Org.